Do you feel challenged while managing your sales teams? If you or your sales heads lead sales teams, then this will help you. Managing sales people has its own unique challenges, and this training explores what those challenges are, and how to effectively manage them. This training is experiential, practical and addresses the real-time challenges the participants face while leading sales teams. Ability to objectively assess team’s performance. 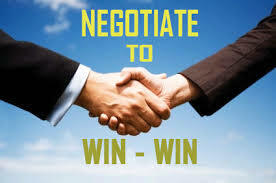 One needs to create win-win situations, for optimum customer satisfaction, and for successful business results. Negotiation is to further cementing a good relationship by creating maximized value for the customer and simultaneously achieving business results. Good negotiation requires a set of strategies and tactics to create the desired feel-good factor without giving in or monopolizing the situation. The important thing is to stick to the value preposition the business is providing and educating the customer how they stand to benefit. During this training, you will learn step by step how to bring about win-win solutions in many various challenging situations. Gaining in confidence while dealing in tricky situations, the Key Account Managers, Sales Representatives, Procurement Managers learn the art of Negotiation which sows the seeds for a guaranteed business success. ‘Nothing succeeds like success’ and this idiom is very true during customer service. A delighted customer is the best promotion point for a business and ensures repeat orders, increased revenues and high feel-good factor. 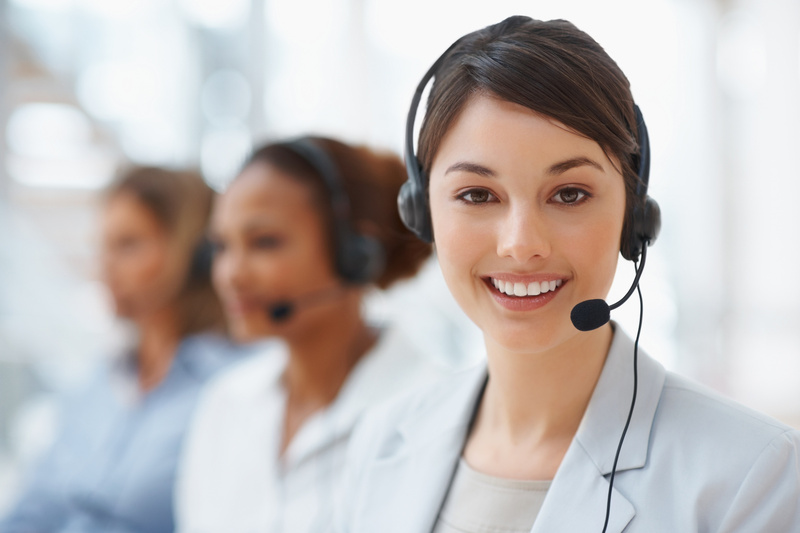 There are many aspects to customer service, and one has to learn in detail the various strategies one can employ to keep the customers engaged and happy. Customer Service training is especially critical for the personnel in the service industry and high service dependant products. This training helps customer service personnel to comprehend the customers’ perspective, their personality type and a detailed understanding to how to develop unique strategies to manage different kinds of customers. They will be able to identify the customer’s needs, learn and improve the various elements of customer service, aspects like tone, voice and body language are some of the many important learnings here. 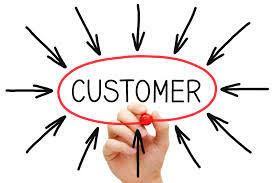 Detailed customer service modules delivered through a unique methodology of role-plays will make you or your team members excellent customer service providers, leading to enhanced & delightful customer experience. The art of providing excellent customer service is critical for business success and is very useful for all client facing roles. Maintaining and developing your own network was never as important as today. You need to effortlessly network with your clients, customers, contacts, vendors and friends to derive maximum benefits for the business. Networking Skills acquired through this unique training will help you make sure your customer truly win and at the same time netting higher sales for your business. We train you step by step on the approaches you can adopt in building and expanding your network and connecting your network to other people’s network. 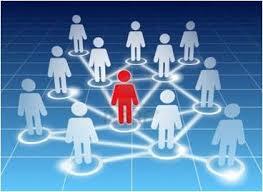 One needs to differentiate here is the useful network which will grow your business from mindlessly adding others. What we train you is on the steps involved in identifying useful networks and how to draw maximum benefit from the established networks. It has become accepted wisdom that six contacts are all that separate you from anyone else in the world. The proliferation of social and business contact groups and the rapid growth of on-line contact networks speak to the average person’s need to be connected. In today’s world the customer or client has multiple options & choices about the products & suppliers. Added to that is the and pressures of less and less time they have. So, what your customers need are sales solutions rather than mere products and services. This training helps you develop that differentiation which helps you in acquiring an edge over the competitors by learning the art of providing selling solutions where the customer problem is addressed uniquely and dramatically improves your customer relationships. This unique approach of consultative in nature will show results in your customers following you rather than you chasing sales. 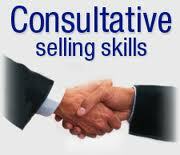 You need to acquire the skills to motivate your customer wanting to give you the order. This requires a special approach by building continuously building the rapport with your customers and creating a more lasting relationship. We train you on many critical aspects required for this such as attention to customer needs, sharpness in delivery, keeping your word, developing dependability, dedication, initiative, and creativity. This training will bring the best out of you as a successful business person instead of a mere sales person. You will acquire the innate abilities of a commercially savvy entrepreneur and sharpen your commercial acumen. This will help you provide effective solutions to customers and enhancing their overall successful experience with you and better business results for your company. Most of the time you are grappling with a situation where the client is not even interested in meeting you leave alone in the product/service you have to offer. This special training by RISE takes you through the process of learning to create that first impression when you are able to catch attention and develop insights to utilize that opportunity to identify and say something unique about the client’s business or background which sustains his/her interest. You or your team members will learn to develop that customer centricity and the ways to quickly modify the sales conversation to gradually generate the interest in your offer or receive a firm appointment. 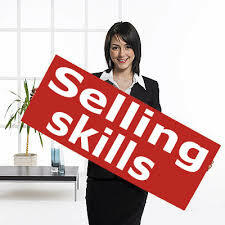 This training is especially useful for both B2B & B2C sales professionals. Can you afford not to pay special attention to those 20-30% Key Clients from where 70-80% business comes? 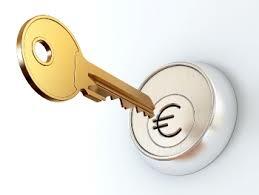 Each key account represents a customer or group(s) of customers or chains and large, national or international companies. Since in key accounts there are usually a large number of people at various hierarchies involved in the sales process: buyers, users, production managers, CEO/Board member etc, it is a challenge in managing sales of such key accounts. RISE Key Accounts Management training trains you or your team members on devising and deploying a systematic and strategic approach with diligent follow-ups to achieve significant success. This training will enhance your skills, push you to experiment with new ideas and create a competitive edge for you over your competitors. give you fresh ideas, broaden your skills and give you a head start over your competitors. 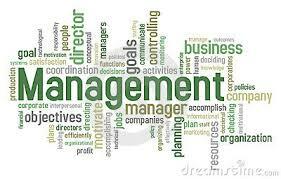 Key Account Managers and Corporate Sales Executives gain comprehensively from this experiential learning. Since developing a couple of such accounts or losing a couple of them can make or break your business or career, we realize how critical these are for your success; we train you on how to develop, maintain, nurture, defend and continuously provide value to those clients? You will learn techniques to better the relationship with clients. So that you are able to ensure that these keep coming back to you over and over again. There is a huge business opportunity when customers complain. Customers who complain are likely to continue doing business with your company if they feel that they were treated properly. So, angry, complaining customers care enough to talk to you, and have not yet decided to take their business to the competition. They are customers worth looking at with a fresh perspective. RISE training helps you in developing the ability to handle such customers with professionalism, sound logic, persuasiveness and deftness. The training will help you develop a winning edge over the competitors who could be facing such customers themselves. You will soon realize that how important is it to develop expertise in handling a difficult/angry customer. The Channel Management training by RISE will help you and your team members and sales people define specific goals for each segment and learn from the best practices of other industries and companies.